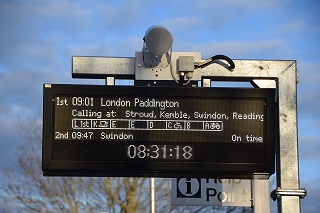 Stonehouse on the Golden Valley Line is one of the latest to get a new passenger information system. 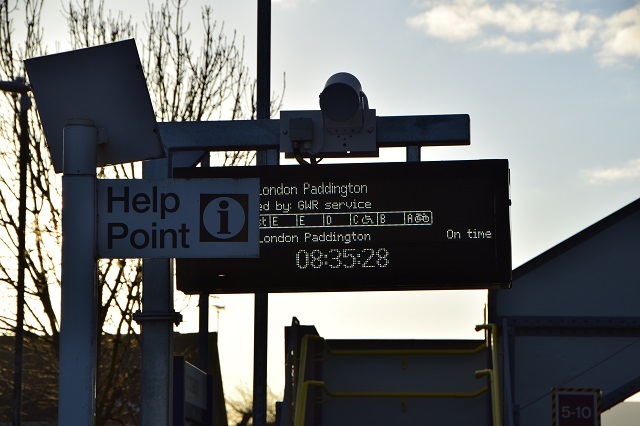 I am told all new installations will be of this design (white on black) as has been trialled on one screen at Didcot Parkway for a while. I am not sure of the work is complete as the automated annoucements were not working this morning. There is also a problem with other platform furniture being "unhelpful" for those waiting on the London bound platform. That platform support construction looks interesting. Is it dense polystyrene or concrete? ...There is also a problem with other platform furniture being "unhelpful" for those waiting on the London bound platform. Oops. Looks like they didn't learn from Falmouth Town. I am not sure to be honest. 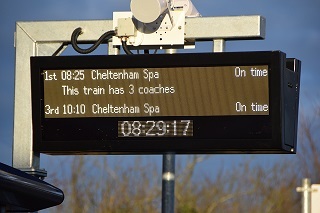 Similar work is going on at Stroud. Each piece has a number sprayed on it to ensure the jigsaw is completed correctly. 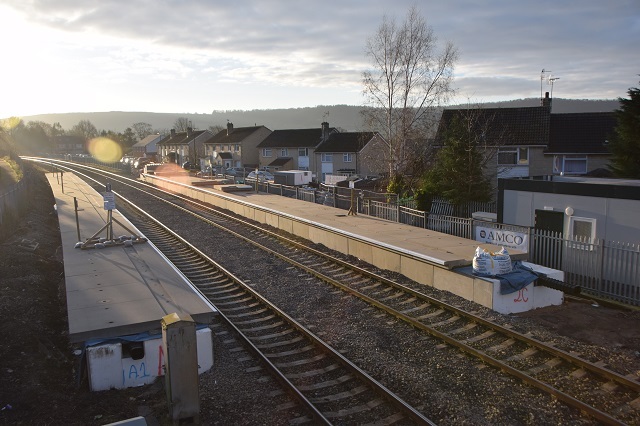 And yesterday the new platform extensions were opened, unsure if 800 ASDO has been reprogrammed. Platforms can apparently platform 6 (7 HST) carriages. Will take a trip tomorrow to see if they are being used, hopefully they are so the butterfly switch is not required for 166s. Also means only one HST carriage is not platformed.